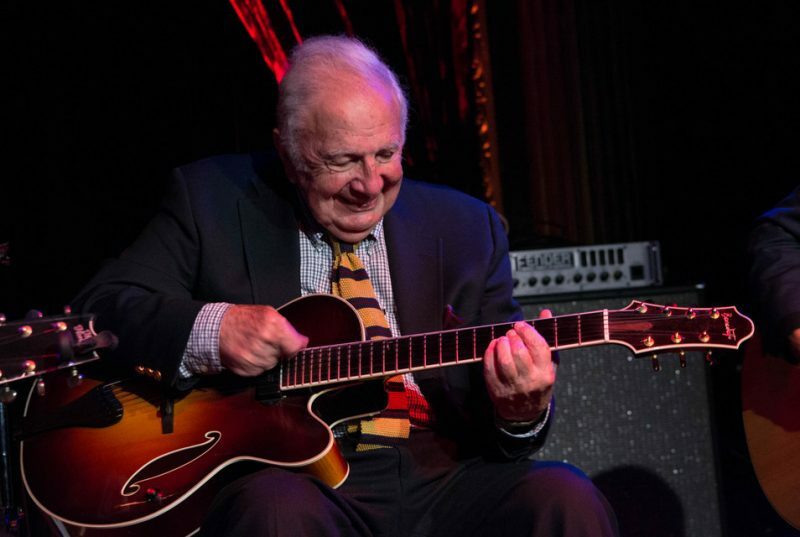 The sixth annual Morristown Jazz & Blues Festival, celebrating the 90th birthday of guitarist Bucky Pizzarelli, will take place on Aug. 20 from noon until 10 p.m. on the Morristown Green in Morristown, N.J. Initiated in 2011 by Morristown Mayor Tim Dougherty, this year’s free festival will also pay tribute to the late bassist Rusty Paul, son of Les Paul, who died this past January after a long illness. The festivities will begin with a performance by the George Gee Swing Orchestra, featuring vocalists John Dokes, tenor saxophonist Michael Hashim, alto saxophonist Ed Pazant and bassist Marcus McLaurine, among others. Bucky Pizzarelli will perform with his quartet featuring guitarist Ed Laub, his son, bassist Martin Pizzarelli and violinist Aaron Weinstein; Louis Prima Jr. and the Witnesses will perform both originals and classics as they celebrate the release of their newest album, Blow; and guitarist Quinn Sullivan, mentored by the legendary Buddy Guy at the age of 16, will perform with his band. The festival will conclude with headliner Robert Randolph and his Family Band. Named as one one of the Top Greatest Guitarists of All Time by Rolling Stone magazine, Randolph considers Morristown his hometown and visits whenever he’s not touring the world. “Robert has wanted to give back to his hometown, and so he was an obvious choice to close out the festival,” said festival co-producer Linda Smith, in a press release.